To understand the essence of Islam is to understand the true essence of humanity. More than a religion, Islam is a complete and comprehensive way of life leading to a balanced way of living. Islam brings civilization and happiness to man. Islamic principles and teachings can provide realistic, fair and objective solutions to the prevention of individual, familial, social and international problems which are threatening the existence of human communities throughout the world. ” There is no compulsion in religion (Islam) “. It warns its followers not to harm or assault others but behave in good manners . “The most perfect man in his faith among the believers is the one whose behavior is most excellent; and the best of you are those who are the best to their wives.” , he (PBUH) said “Any woman dies while her husband is pleased with her, she will enter Jannah”. Islam shows that relation between parents based on mercy and kindness, Allah says, ” and we have enjoined on man (to be dutiful and good) to his parents”. 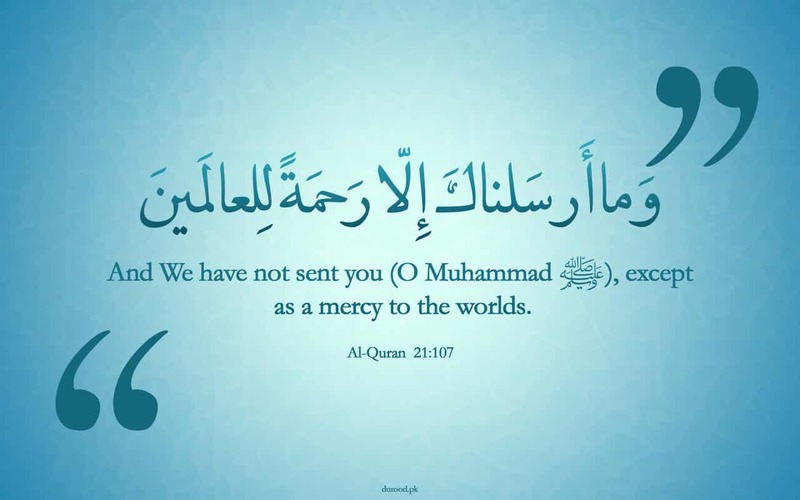 the prophet (PBUH) was asked “ which of the deeds makes one nearer to Paradise? He (the Holy Prophet) replied: Prayer at its proper time, I said: What next, Messenger of Allah? He replied: Kindness to the parents. I said: What next? He replied: Jihad in the cause of Allah. these show the behaviors that should be inside the small community (family). Islam cares a lot about relatives and their relations among each other , as The Prophet (ﷺ) said, “The word ‘Ar-Rahm (womb) derives its name from Ar-Rahman (i.e., one of the names of Allah) and Allah said: “I will keep good relation with the one who will keep good relation with you, (womb i.e. Kith and Kin) and sever the relation with him who will sever the relation with you, (womb, i.e. Kith and Kin). Islam also orders its followers to establish good relation with neighbors, this is clear in prophet’s saying “Jibril kept recommending treating neighbors with kindness until I thought he would assign a share of inheritance”. Islamic teachings shows us how to deal with animals and plants . The prophet (PBUH) said “While a man was walking he felt thirsty and went down a well and drank water from it. On coming out of it, he saw a dog panting and eating mud because of excessive thirst. The man said, ‘This (dog) is suffering from the same problem as that of mine. So he (went down the well), filled his shoe with water, caught hold of it with his teeth and climbed up and watered the dog. Allah thanked him for his (good) deed and forgave him.” The people asked, “O Allah’s Messenger (ﷺ)! Is there a reward for us in serving (the) animals?” He replied, “Yes, there is a reward for serving any animate.” He also said “A woman entered the (Hell) Fire because of a cat which she had tied, neither giving it food nor setting it free to eat from the vermin of the earth.” The prophet warns people that harming animals makes them face severe punishment in the Hereafter. The prophet also said: ” Never does a Muslim plant, or cultivate, but has reward for him for what the beasts eat, or the birds eat or anything else eats out of that”. To sum up, Islamic teachings covers every side in our life. It is sent to all mankind and jinn . the message of Islam combines between spirit and reason. It establishes rules to all kind of relations in the community and cares about environment as well. There are countless sides that Islam handles that need thousands of books to cover them .